This is another fish that can destroy a good net when attempting to transfer them. Although it can be a bit painful, it is possible to move this fish by hand. This is best practiced with small fish and rubber gloves initially, but seasoned pros can literally pluck these fish from underneath a rock. You must get a finger between each pectoral fin and the catfishes body with your thumb above the head. Due to a reflex driven defensive mechanism the fish will lock its pectoral fins, trapping your fingers! I recall reading that this action is used by the fish when caught to make itself as difficult to swallow as possible. The fish will remain locked to your fingers until you transfer it and submerge it once again when it will release and dart off to the nearest dark refuge. 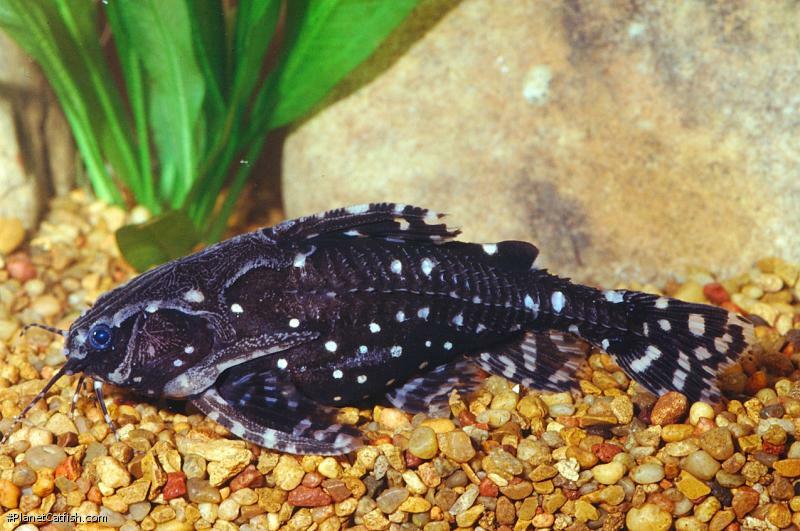 Whether you transfer the fish by this or more conventional methods you will probably hear why it is called a talking catfish during the transfer. The fish emits a high pitched croaking noise which can be surprisingly loud. The fish achieves this by grinding the base of its pectoral fin bone against its shoulder bone; much like the noise you can make by grinding your teeth, but louder! Most, if not all, of the 80 - 100 members of the family can "talk" in this manner. Amongst these are some true giants (4ft +) which I would very much like to hear.